Create impressive multimedia websites in just a few steps – no experience required. Simply download Xara Web Designer and make your own unique websites. From design to publication you'll find everything you need for a strong online presence in this one powerful software package! 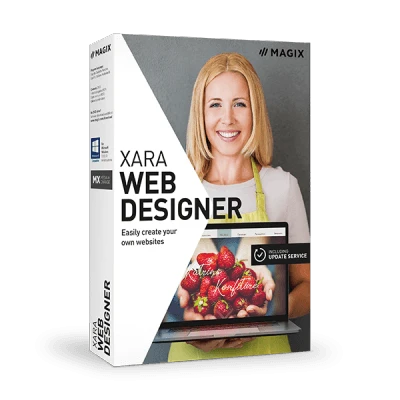 Get started now – Download and test Xara Web Designer for free! With Xara Web Designer you can create impressive multimedia websites in just a few steps without any previous experience. Download and test it now for free. Design your own websites! It's perfect for hobbyists, clubs, students and professionals. Use the templates to get fast results or design your website from scratch even without any previous experience. Choose from a wide selection of license-free templates. This lets you create your personal website in no time at all. Adjust the color, contrast and brightness of your images in Xara Web Designer. You won't need any other software. Create multimedia homepages: Integrate music, videos and slideshows.